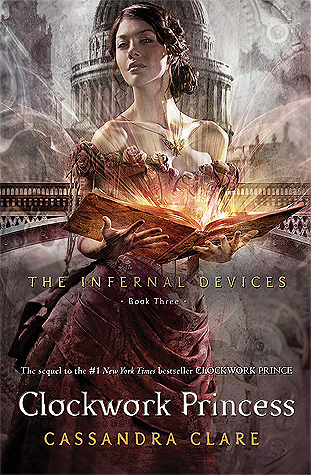 The final installment of The Infernal Devices by C. Clare was an awesome read! The addition of new characters to further the plot was a welcome addition and the love triangle of Jem, Tessa and Will was oh so good:) The author put depth into these characters and I think the teen readers of The Mortal Instruments will love this series as well. Magnus Bane is one of my favorite characters and the automotons were just downright creepy and scary, but you will have to read the book to find out why:) For a sweeping love story, supernatural elements and lots of suspense, this book does not disappoint. Sign into Goodreads to see if any of your friends have read Clockwork Princess.